Transactions, Contracts, and proof of them are defining structures in our economic, political, and legal systems. They protect our assets and set boundaries for organisations. They authorise and validate identities and provide an audit of events. They control interactions among countries, organisations, communities, and people. And yet these essential tools and the authorities formed to manage them have not kept speed in this era of digital transformation. Blockchain vows to address this problem. Blockchain is the technology at the core of bitcoin and other cryptocurrencies. Blockchain is an open, distributed ledger that can record transactions between parties efficiently and in a permanent way. The ledger can also be designed to trigger transactions automatically based on verifiable activities. First devised in 1993, the idea was initially detailed by a computer scientist and cryptographer named Nick Szabo. Szabo explained the technology being like a digital vending machine. He described how users could input data or value, and receive a defined item from a machine, in this case, a snack or a soft drink. Smart contracts facilitate, verify, or enforce the negotiation or execution of an agreement. Smart contracts often mirror the logic of regular contractual clauses. Therefore, contractual clauses can be made partially or wholly self-executing, self-enforcing, or both. The benefits of Smart Contracts are clear to see. Smart contracts generate certainty in their execution. The transparent, automated, and secure nature of the agreement removes any possibility of corruption, bias, or error. They also reduce some of the transaction costs associated with contracting, as there is no requirement for middlemen. Smart contracts run on code and exist on the internet. As a result, they can realise transactions quickly. This speed can knock hours off most traditional business processes. There is also no need to process documents manually. The value proposition of blockchain is strong across many sectors with organisations such as Audi currently exploring blockchain for its distributional network. Alexander Dietmeier, Head of Group Treasury at Audi AD, stated in an interview with Die Produktion that Blockchain has potential to change various operating principles within industrial companies and opens up new possibilities. Dietmeier also stressed that he believes it likely that Audi will be offering cryptocurrencies as a payment method in the near future. Other German car manufacturers such as BMW, Mercedes and Porsche have recently hit the headlines with announcements of their own experiments with Blockchain technology. 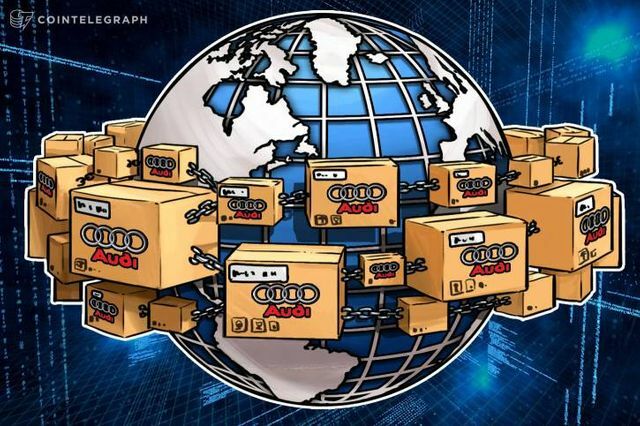 Experts at Audi are exploring a Blockchain solution to improve the company’s physical and financial distribution processes.